The Wallabies forward pack: A performance to build on or another false dawn? 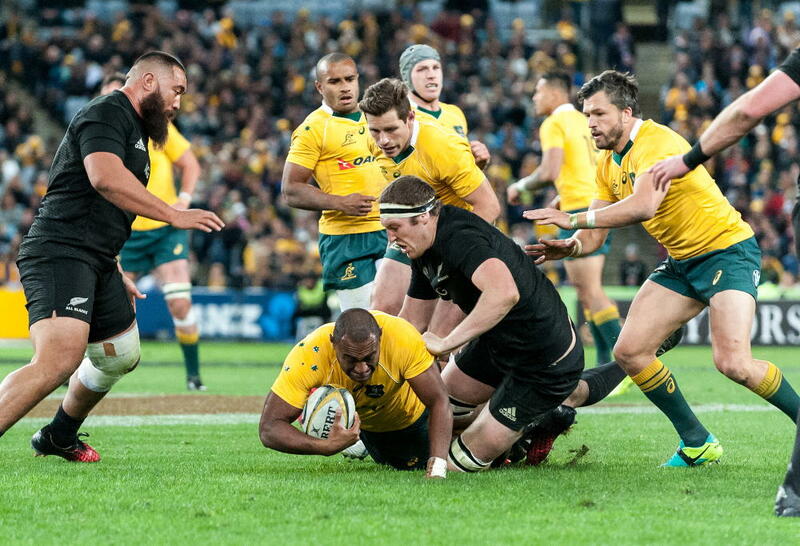 Wallabies' outside centre, Tevita Kuridrani is ridden to the ground by All Blacks' lock Luke Remano (Pic: Tim Anger). ​The Wallabies put in a gutsy performance on Saturday and I was genuinely proud of the effort they displayed. Most pleasing though was the tenacity and vigour shown by the forward pack. It has been a long time since we saw that kind of physicality and it sets a new benchmark for this team. For a while now I have bemoaned the failure of the Wallabies to win the collision, and contest the breakdown both when supporting runners and in defence. Couple this with their well renowned scrummaging failures and it makes for tough viewing. The failure of the forward pack to get over the gain-line has often left the Wallabies on the backfoot and leaves us running east-west given our preference to avoid midfield kicking at all costs (an issue for another day). Without a platform laid by the forwards in the loose and in the set pieces, the backs are rendered redundant. Saturday night was a massive step forward. In world rugby it is all about winning the collision. You need to nail the tackle and where possible drive your opponent back beyond the gainline. With the current ruck laws, pilfering is becoming harder and the best way to slow the ball is with a dominant tackle. 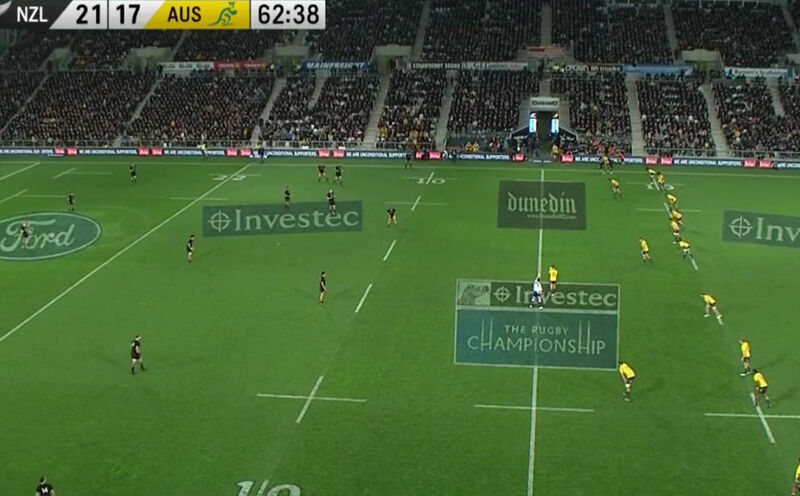 The other goals, especially against the All Blacks, is to stop the offload. The Wallabies for the most part nailed their tackles, drove hard where possible and prevented dangerous offloads from the likes of Sonny Bill Williams and others. This of course was a team effort but lead by the forwards. It helped slow the ball enough for the defence to set themselves and move as one and the line-speed from Australia as a unit was good. There will be talk of the missed tackle count but it was a welcome improvement from the week before. The Wallaby support play at the breakdown was strong and really physical. The lead up to both the Will Genia and Kurtley Beale tries were great examples where cleanout play by Sean McMahon, Lopeti Timani et al helped keep the ball before Genia/Beale found the space to score. Neither try would have been possible without the excellent support play and cleanout protection the forwards provided in the lead up phases. When the forwards ran, they ran together ensure that they got over the gainline and cleaned out helping aid continuity. They won 95 per cent (68/71) of rucks when Australia had the ball which is reflective of their good work at the breakdown. They all tried hard – Ned Hanigan has undoubted potential but Timani would be a better option at eight with MacMahon shifted to six or vice versa. But this is another issue that has caused much debate. Then there is the battle of the gainline and while stats show that Stephen Moore and Hanigan both ran for a combined 0m, both props (16m) and locks (combined 12m) did well. Rory Arnold (8 runs for six m) and Sean MacMahon (14 runs for 31m) were the standouts consistently making it over the gainline to get the WB on the front foot. Tatafu Polota-Nau was brilliant and played one his best games for the Wallabies. He was tremendous with ball in hand and brutal in defence. The scrums were a distaster in the first half. 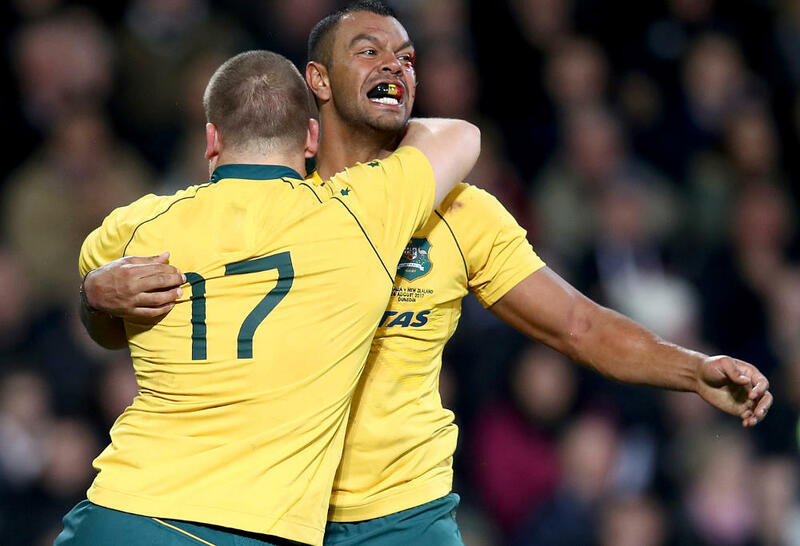 When the push came the Wallabies folded and it was perhaps good fortune or plain luck that they were able to extricate themselves from some very sticky situations – Genia made a linebreak when the scrum was marching backwards and Hannigan made a good recovery on another. It perhaps wasn’t always their fault though, New Zealand loosehead Joe Moody was angling into our tighthead (missed by the referee but he only has one set of eyes) but credit to Moody for excellent loosehead prop play in his ability to disrupt the opposing tighthead prop and in turn create a situation where our scrum was placed under great pressure. The screenshot below attempts to highlight the tactics that Moody employed. The entrance of Tatafu Polota-Nau shored up the scrum and while not perfect it was a lot more solid once he was on in place of Moore. Lastly the lineout was once again perfect off their own throw. I have been a critic of Tatafu Polota-Naus throwing in the past but his and Moore’s throws were spot on and helped the backline runs their plays. Watching Tevita Kuridrani rattle head on and bend the line reminded me of the old days of Stirling Mortlock running through the 12-13 channel. I am an advocate of the maul to provide variety and another way to generate momentum while sucking in forwards. With this in mind I was pleased to see the WB run a maul late in the second half just metres from the tryline. On a different note, the quality of the New Zealand restarts still amazes me. The restart after the Wallabies try was one for the ages and vintage NZ. It appeared that New Zealand was going to their left but at the last minute Liam Sopoaga turned to the other side and hit a peach of a drop kick to a space just beyond the 10m line where the WB pod could not set up in time. From there, Kieran Read did what he does best – get to the ball early and flick it back almost basketball jump-ball style to his sides advantage. It is an amazing skill and one that helped win New Zealand the game and almost won them the Lions series. There are several crucial differences that make New Zealand the best exponents at both receiving restarts and winning it back. When it comes to kicking, unlike the All Blacks kickers, Bernard Foley is very clear which direction he is going and the shot below is the best example of this. The trajectory of the delivery is also crucial – Foley hits it quite high and often deeper than his New Zealand counterparts. This has two effects in that the deeper kicks our players less time to reach the ball. The high trajectory gives the pod more time to set up and Sam Whitelock’s ability to get set up and then jump high is probably the best in the world. Stopping the ability of the All Blacks to regather and ‘steal’ restarts is easier said than done but nullifying this area of strength can sometimes be the difference between winning and losing.